July 17, 2017- DKD Electric LLC is pleased to announce that Eric Buenaventa and George Lopez have joined the partnership team. 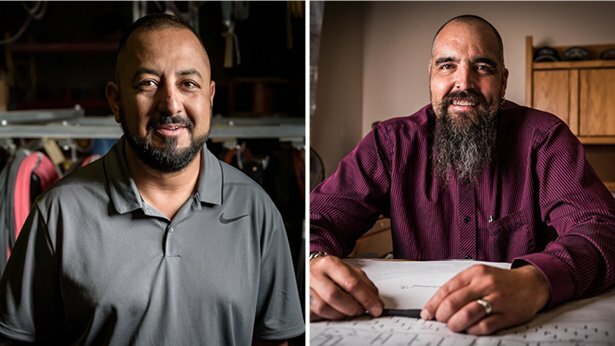 Coming from different backgrounds in the construction industry, both Buenaventa and Lopez bring a wealth of experience to their new roles in the company. Lopez is a 20 year industry veteran that began working as an electrical apprentice at DKD in 1998. He quickly became one of the company’s youngest foremen at the age of 24. Since then Lopez has managed the company’s largest commercial and solar projects. Along with becoming a member, Lopez has been promoted to field superintendent, where he will oversee the company’s field operations. Buenaventa started working with DKD in 2000. 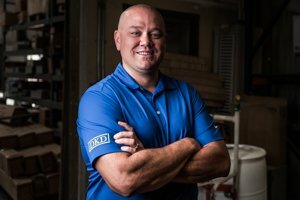 From draftsman to site logistics manager to managing the company’s largest project to date, Buenaventa has worked in all areas of the company. In his new position as member, Buenaventa will also take on the role as senior project manager for our renewable energy department and will continue to provide exemplary project management services to our customers. The announcement promises exciting changes for the company. DKD has experienced steady growth and with Lopez and Buenaventa’s expertise and industry-specific knowledge, the company will be equipped for its next level of growth. “We are very excited George and Eric have decided to invest in our organization at this level. They are both outstanding individuals with strong values and have continually excelled in their respective positions for both DKD and our customers for almost two decades. With the commitment Eric and George have made, we see an opportunity for DKD to continue to grow for years to come,” said Dee Dennis III, CEO and Managing Member.